The 3rd Annual IIUSA EB-5 International Investment and Economic Development Forum | The Law Offices of Yuri Tsyganov, P.L. Starting June 19th, the IIUSA is holding its third annual international investment and economic development forum. Individual investors and economic development professionals from around the globe will be meeting together to discuss the EB-5 program, international investment in the US, and a myriad of other topics. The Association to Invest in America puts together this forum to answer questions, foster relationships, and increase effectiveness with authentic, person-to-person interaction. The EB-5 event is held at different locations, and this years forum is taking place in Las Vegas, NV. In 2012, the forum was completely sold out due to increased interest in US investment and the EB-5 Visa program. With experts from across various financial sectors, it is no wonder that the event continually sells out of tickets. Russell Cartwright, Tom Loeffler, Marc Audet and dozens of other businessmen from around the world will be speaking at the event. In order to attend the event and see all of the speakers at this year’s forum, visit the official IIUSA event page. The event is likely to sell out of tickets, so the earlier individual secure a spot at the forum the better. In 2005, the IIUSA was founded as a national, member-based not-for-profit dedicated to increasing the exposure of American investment opportunities. 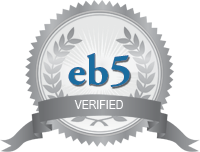 The organization is specifically made up of EB-5 regional center workers and service providers. Each member has a significant stake in seeing the visa program expand and improve with time. The IIUSA is made up of an interdisciplinary group of financial and business sector representatives from around the world. IIUA represents a total of 82 regional centers with more than 160 registered members. IIUA regional centers make up about 95 percent of all capital formation resulting from the dynamic visa program. The event held by the IIUSA is designed to connect business leaders from around the globe in an authentic trade show atmosphere. Business leaders interested in the EB-5 Visa program are able to meet in a secure, fun environment once each year. This event is a popular affair, requiring individuals to register weeks ahead of time.